These cookies are made with all whole wheat flour (no white in sight!) My feeling is that you can taste the difference when eating one of the plain cookies, but with that icing on there you can’t really detect it … it just makes them wonderful. The orange segments are just for garnishing fun, of course. The boys in my family are ‘baked good fanatics’… mostly eating the full-fat unhealthy sorts of treats. That being said, they both love these cookies (whole wheat flour and all!) These also freeze well- I stick them into individual zips for lunches and throw one into the lunchbox each day for a little dessert. 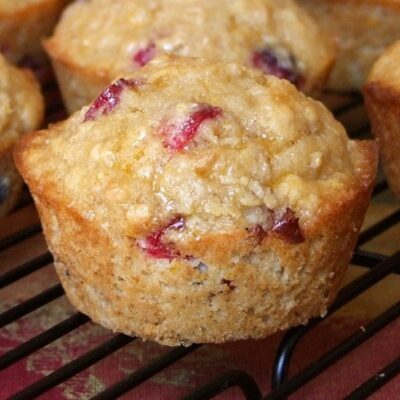 After trying these on a whim during a healthy-eating kick, I was pleasantly surprised at how delicious they turned out to be. My whole family gave them a big thumbs-up! Preheat oven to 350°F. Lightly grease 2 baking sheets or line with parchment paper. Prepare dough: Cream butter, sugar, vanilla, baking powder, baking soda and salt in a medium bowl. Beat in egg, then orange juice and orange zest, scraping the bowl. The mixture will look curdled; that's OK! Add the flour, beating until smooth. Drop dough by tablespoonfuls onto the prepared baking sheets. Bake the cookies: Bake cookies, reversing pans midway through (top to bottom, bottom to top), until they're just barely beginning to brown around the edges, 10 minutes. Remove cookies from oven and let them cool on the pans for 10 minutes before transferring them to a rack to cool. Prepare the icing: Beat the sugar, butter, orange zest, vanilla and salt in a medium bowl until well combined. Beat in orange juice until the mixture is spreadable. 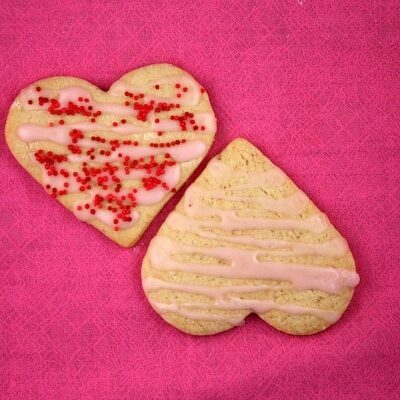 Spread icing on the cookies when they're completely cool, using a generous 1 teaspoon icing for each. Made these tonight for my family – they were a hit! Kids said “um, these are yummy!” 🙂 Thanks for the recipe! I finally made these (about five years after I printed out the recipe 🙂 ). Made a few changes (swapped out white flour for wheat, added extra flour, chilled dough before baking) and they were mighty tasty. Thanks for the recipe! And happy baking. Hi Lori, I finally got around to making these cookies. Very good cookie, I was surprised on how good they were with the whole wheat flour. Thanks again for posting a good recipe. The taste of the whole wheat is overpowering, maybe nicer with regular flour. Also a glaze may suit this cookies better, or maybe it was yhe combination. I have never had an orange cookie before. I just finished making these and they are AMAZING! I used Whole Wheat White flour and I figured these would taste…well, like other whole wheat things, but they really took me by surprise. A very nice orange flavor. They’re like little food balls of edible orange juice. I’m going to share these with my family. Thank you very much for this good recipe! I haven’t had orange cookies since I was a kid. no longer had my recipe. Tried your recipe today and it’s a thumbs up for sure!! I will have to double the batch next time. I cannot keep my 16yr. old out of them! Thanks for sharing. FANTASTIC! 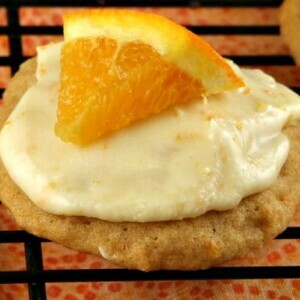 i was on the hunt for a recipe to make use of some delicious satsuma oranges from a friends’ yard. these cookies rock! i took christy’s suggestion to use a melon-baller and ended up piping out the frosting over all my tasty little cookies. well done! 5 STARS! These cookies are very reminiscent of a recipe my grandmother made – this recipe, I feel is acutely better because hers cookies were almost “too” soft, and as a result too delicate. 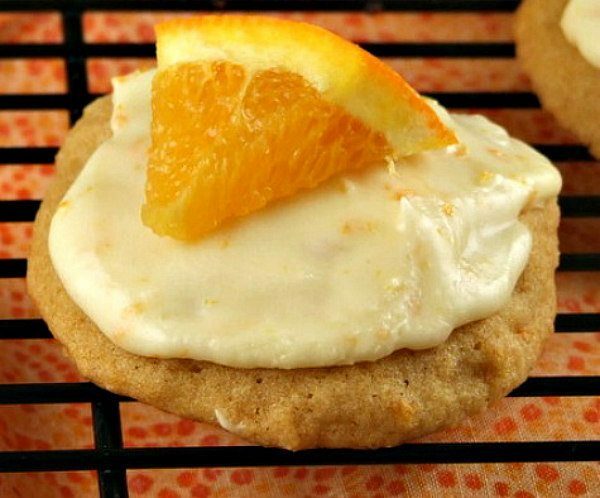 While these cookies are on the soft side, as well, they can withstand the icing without ‘mushing.’ Also, the whole wheat flour adds a nuttiness which compliments the orange soooo nicely!!! I will DEFINITELY be making these again! Note about yield: I used one of those ‘melon baller’ tablespoon-sized cookie scoops and my yield was 4 1/2 dozen (as opposed to the 30 stated in the recipe). Thanks!!! 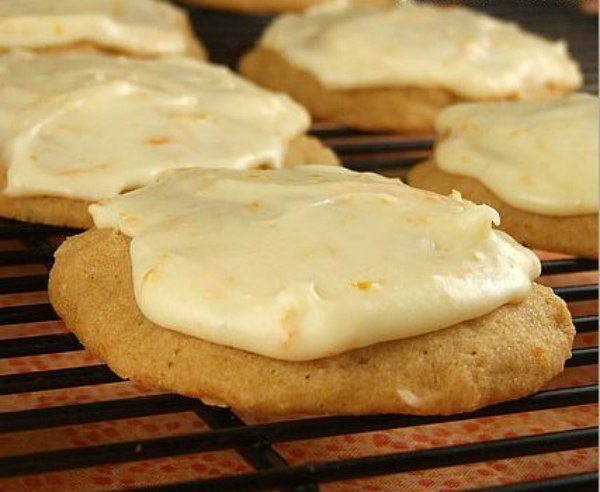 This reminds me of a recipe I have been craving for carrot orange cookies. I wonder if you added tiny cubes of cooked carrot to this recipe if it would have about the same taste but be healthier because of the whole wheat flour? I’m gonna have to try it. Thanks for giving me a healthy cookie recipe idea. These are vry good and also easy to make. I will make these again for sure. These look great! I would love to make them with some lemon zest instead for a different twist! thanks for the post!